In a land rich in color, creativity and history we only have to stand back and take a deep breath to be moved by the spirit of Morocco. Making space to embrace the spirit and beauty of Morocco we will journey through art as it relates to adventure, self love and inspiration. forging new friendships, exploring new lands and listening to the wisdom we all hold within. This retreat will offer moments of heart connection through morning meditation, journalling and intention setting. inspiration will emerge as we celebrate the sacred history and beauty of indigo. creating dyes and indigo patterns on Moroccan fabric as we embrace what flows from the spirit within. The beautiful Maison 28 is a magical property located in the heart of the Marrakech medina where color, culture and beauty surround. Enjoy beautifully prepared meals, gorgeous accommodations and wonderful hospitality. 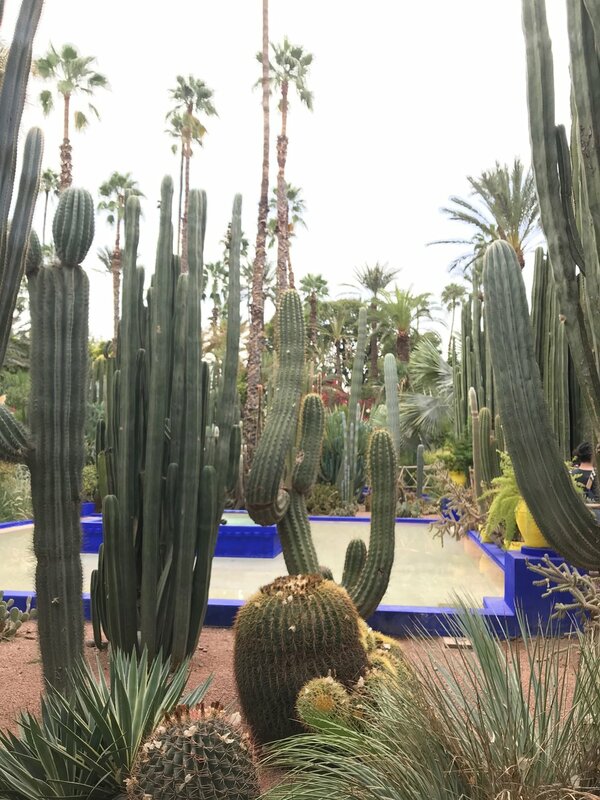 you will have many opportunities to follow your bliss and enjoy free time to wander the Marrakech medina taking in it's beautiful culture and Spiritual energy. • 1 overnight trip to Essaouira including accommodations. Enjoy your stay at Riad Maison 28 in this beautifully decorated private room with an oversized twin bed with ensuite bathroom. Enjoy Maison 28's rooftop sanctuary, beautiful gathering spaces and Moroccan decor. Enjoy your stay at Riad Maison 28 in this beautifully decorated shared room with twin beds and private shared bathroom. Enjoy Maison 28's rooftop santuary, beautiful gathering areas and Moroccan decor. does 'retreats for soulful living' offer PAYMENt plans? AFTER PAYING YOUR INITAL DEPOSIT WE WILL BE IN TOUCH BY EMAIL WITH A PAYMENT SCHEDULE FOR YOUR RETREAT BALANCE. YOU MAY DIVIDE OUT YOUR BALANCE INTO a PAYMENT plan schedule TO be PAID BY CHECK or charged to A CREDIT CARD. We prefer payment plan payments to be made by check it is helpful to us. YOUR SIGN UP DATE WILL DETERMINE HOW MANY SCHEDULED PAYMENTS YOU CAN MAKE BEFORE THE BALANCE IS DUE January 9, 2019.
booking your flight. Where and when? When booking your flight please fly into Marrakech, Menara Airport, Please give yourself ample time to research airlines and book ahead for the best rates available. do you offer airport transfer to Maison 28? two weeks before departure we will email arrival and transfer details. we will have transportation to bring our groups to Maison 28. we will explain how to exit the airport, where to find your transport and who will pick you up. We will organize pick up at the airport in groups on our retreat arrival day. Marrakech airport is easy to navigate and there is a money exchange in the airport. we recommend you exchange your money before leaving the airport. we will include details about this in our arrival packet. if you choose to arrive early or leave Marrakech after our retreat is over you will need to organize your own airport transfer to and from the airport. what kind of amazing meals will we eat in morocco? you will expect fresh meals each day whether eating in the Riad or at local restaurants. Moroccans take pride in the beautiful food they serve and their hospitality is warm and friendly. Breakfast at Maison 28 will be fresh daily with fruits, yogurts, locally made bread with jam, juices, coffee and tea.. A typical meal will include a tangine or stew with couscous and a fresh salad. please inform us before hand if you need Vegetarian or a gluten free diet..
a Riad is a traditional house in Morocco. It is characterized by having an inner courtyard or a garden as the central element of the building. As a matter of fact, the name comes from the Arab word 'ryad' garden. our accommodations at Maison 28 are beautiful. We have rented the entire property and have access to all the community lounging areas, art studio and rooftop sanctuary. Each of the rooms are beautifully decorated with vintage furniture and moroccan details with private ensuite bathrooms with hairdryers, room safes, comfortable beds, fluffy pillows and complimentary toiletries. daily room service will be provided and one complimentary “laundry day”. When reserving your room note each guest has their own twin bed in a shared room or a double bed in a private room depending on the package you purchase. is WIFI available on the retreat? wifi is accessible throughout maison 28 rooms and their common areas. although it is available throughout the property at times wifi may not be as strong as what you are used to back home. many phone companies offer international packages for purchase if you want to connect at all times as you wander the medina and seaside. are there ATM's available in morocco? atm's are available in Morocco and we have had easy access and success in using them in the past. you can exchange money into dirham at the airport to get the best bang for your buck while shopping. New $100 dollar bills are preferred at the airport exchange. we will send details about money exchange in your arrival packet. will my room at Maison 28 have a safe? 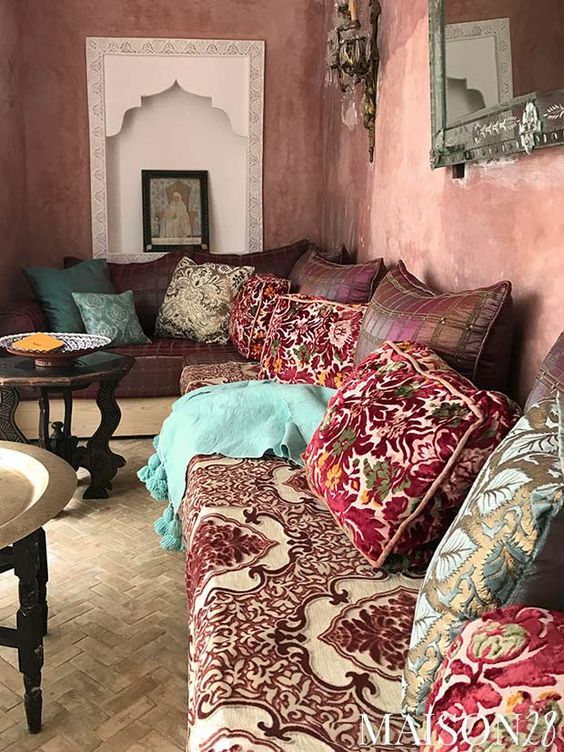 each room has a safe to hold your valuables during your stay at Maison 28. retreats for soulful living and the riad are not responsible for valuables left outside the safe during your retreat stay. what Art supplies will i need for our retreat? We will supply all of your art supplies for indigo dying. You may bring additional items to dye. please Make sure that your materials are 100% natural, cotton, silk, linen, hemp or wool. Keep in mind that you may find additional items for the dye vat while shopping in Morocco. WE will take time each morning to connect with a sacred intention and meditation. we will have time during the day and on our excursions for inspiration. Please bring your favorite journaling tools, pens, markers, and colored pencils and any other art supplies you regular use that bring you joy. what Clothing should I plan to bring? The key to dressing in Morocco is to keep it light but modest. Bring layers as the temperature can change quickly. Think Loose and Flowy: All things lightweight and full coverage are ideal, loose trousers or maxi skirts are perfect. A tunic shirt with leggings or a full kaftan. Not only does full coverage allow you to dress conservatively in Morocco, it will also protect you from the sun. Whatever you wear, have a lightweight scarf with you. You can use it to cover up before going into the souks or just keep the sun off your skin. Closed-toe and comfortable shoes are must-haves for long days of exploring. It’s also handy to have flip-flops or sandals for the riad. we will be spending an amazing day at beldi spa relaxing and enjoying a wonderful hamman/Massage. please bring a bathing suite and a coverup for that experience..
maison 28 will have toiletries in your room. we recommend you bring sun screen and after sun lotion to nourish and take care of your skin. Bring any items from home that bring comfort to you as you ready yourself to greet the day. with all the thought and care that goes into planning a global retreat we can not offer refunds for the deposits on our retreats. for your own peace of mind you may purchase a 'cancel for any reason' travel insurance policy. to read our full booking terms and conditions please click here. Please see the CDC recommendations for travel to Morocco here. passport, Airline Tickets, Credit & Debit Card, Cash. You can exchange US dollars to moroccan dirhams at the airport. outlets in Morocco are a different type and wattage than us/canada. you will have no problem plugging in your electronics, phone chargers and blow dryers just look into purchasing an adapter before you travel. They are easily found online and at luggage and travel stores. Please see the electrical plug recommendations here. it is not recommended to drink the tap water in Morocco. Maison 28 will have fresh bottle water available in your rooms daily. remedies for upset stomach are good to have on hand. Sun Screen and after sun lotions to keep your skin protected and hydrated. optional purchase cancel for any reason travel insurance. • if during the retreat your service at Maison 28 merits additional gratuity to the staff in gratitude for the service you received you are welcome to leave at checkout. By placing your deposit with us you are reserving a space on our retreat and agreeing to our terms and policies. Deposits are non-refundable. If cancellation takes place more than 90 days prior to your departure date any payments made will be refunded minus your deposit. If cancellation takes place less than 90 days prior to your departure then 100% of your trip price will be forfeited. All retreat prices are per person, and all deposits are non-refundable. Final payments are due to 90 days prior to departure and can be paid by check or charged to a credit card. for piece of mind We highly encourage all of our guests to purchase trip insurance to fully protect them from any cancelations or changes. We will connect you with beth at Imagine Travel to help you with arranging trip insurance and flights arrangements. Retreats for soulful living reserves the right to make any changes deemed necessary to our retreats. In the rare case of cancellation on part of Retreats for soulful living, we will offer you a transfer to another retreat or a full refund.